I got this guy for 50 cents at my local comic store. 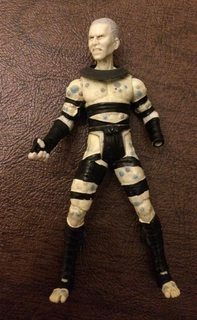 He was in the "fodder bin", probably due to missing one hand and all accessories. My guess is that he is a Star Wars character (a Sith), but I'm not completely up to date with the franchise. 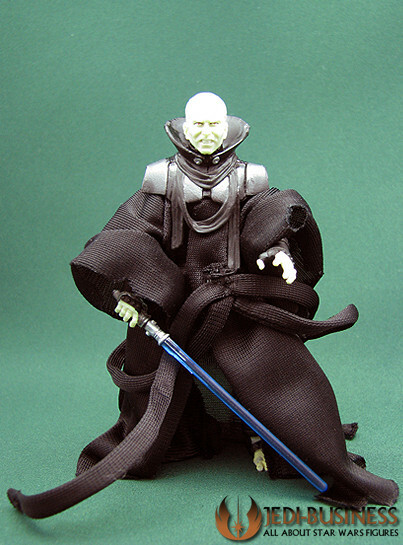 Maybe he is one of many versions of a Darth Sidious toy figure, and without accessories is more difficult to identify. Is this guy a known Star Wars character? Without having one to compare in person, and going by the photo you've provided, I believe this is the Palpatine figure from the Dark Empire 2 line released in 2008, except missing his cloak and saber. The hair color and expression of the face are a match, and if you look at the exposed foot in the photo, it looks like he has a similar wrapping around his foot. 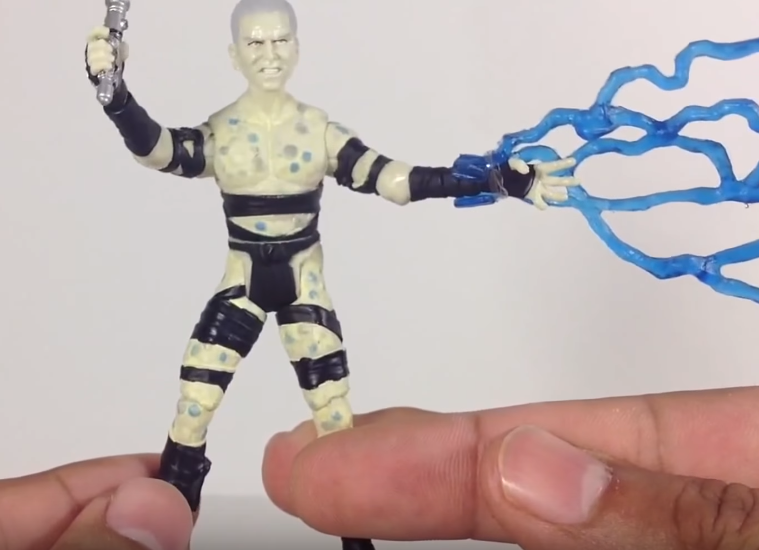 Additionally, the figure was released in 2008, matching the production date on the figure. LFL C-001C is also a production code for Star Wars figures.